Frostburg State University celebrated the inauguration of its fifteenth president, Ronald H. Nowaczyk, Ph.D., on Friday, April 7, 2017. 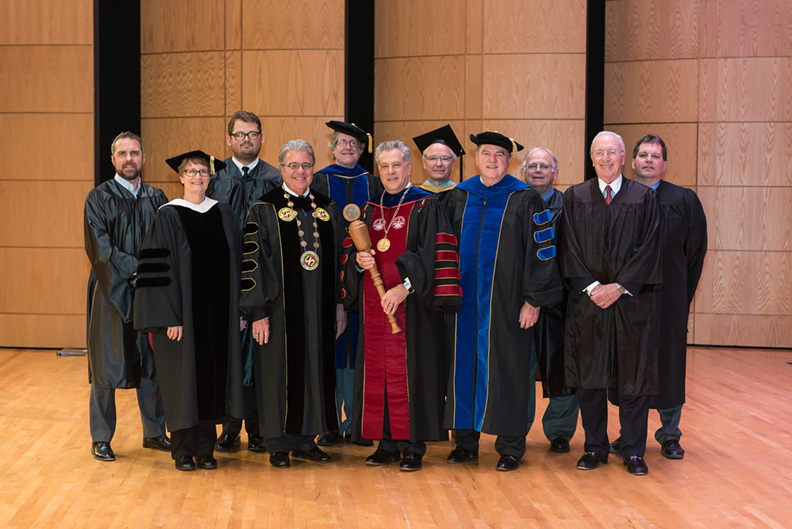 Participating dignitaries included University System of Maryland Chancellor Robert Caret and James T. Brady, Chair of the USM Board of Regents. A weeklong series of events were held as part of the inauguration including a student art exhibition, an ice cream social and a President's Concert performed by student musicians and vocalists.